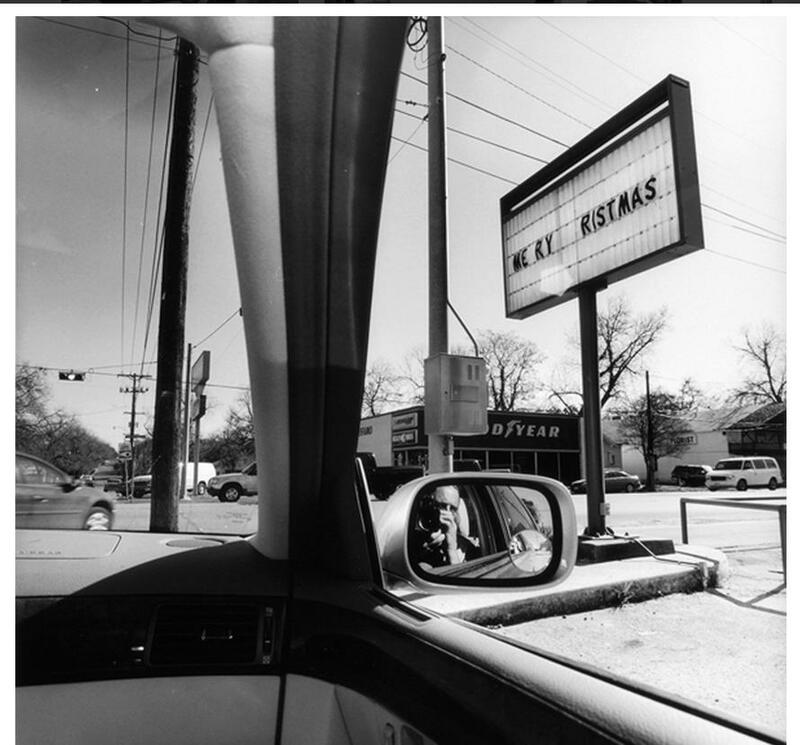 Lee Friedlander, Texas, 2006, from the series America by Car, 1995-2009. Gelatin silver print, 15 × 15 in. (38.1 × 38.1 cm). Collection of the artist; courtesy Fraenkel Gallery, San Francisco. Photo by Lee Friedlander. Following in the tradition of American photographers like Walker Evans is Lee Friedlander. Since the 1950s, Friedlander has focused on everyday Americana, creating expansive black and white images of the social landscape. His latest photographic exploration focuses on views of street life from within America’s quintessential vehicle for the open road—the rental car. …Lee Friedlander upended the earnest humanism of postwar photography with his lively, irreverent glimpses of city streets and his tongue-in-cheek self-portraits of the 1960s. The offhand wit and graphic verve of those early pictures have never disappeared, but since the early 1970s the photographer’s mastery of craft, affection for tradition, and voracious curiosity have spawned a fluid stream of observation, ever more nimble and sensuous. What do you think? What do Friedlander’s images symbolize about America’s relationship with automobiles?